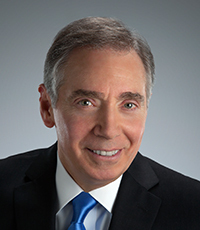 Attorney Stephen M. Forlizzi has practiced in personal injury law for over 35 years, and he has helped thousands of clients recover compensation for injuries they've sustained in motor vehicle accidents, on the job injuries, and premises liability accidents. He works one-on-one with each client, educating them about how their case will play out under Massachusetts state law, and doing whatever is possible to help them put their lives back on the right track. 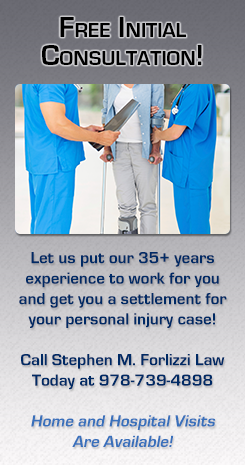 If you've been injured, contact the Law Office of Stephen M. Forlizzi today and set up a free initial consultation. For more information about Mr. Forlizzi's credentials, just click on his name below.